Most bars that are located in our household is 100% health bars, which I do not believe should be consumed or go within 60cm of my mouth. The bars at the store are tasteless and never hit the spot. 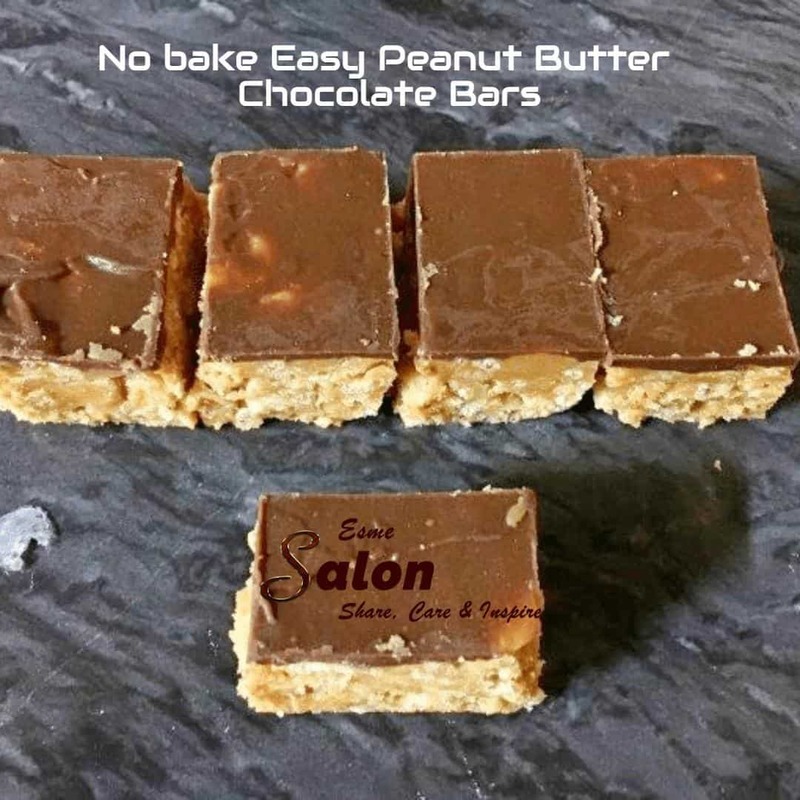 That was until I discovered a vegan no-bake peanut butter chocolate bar recipe, biting into these bars brings back memories of the time when there used to be a Black cat peanut butter chocolate bar on every shelf, oh the good old memories. The upside of the bar is that it doesn’t need to be put into the oven, and it is so quick and easy that even a child could do it. This bar serves around 24 people, but it all depends on the size of the bars. 2 cups icing sugar, sifted. In a bowl, mix the Rice Krispies, peanut butter, icing sugar, 112g of the margarine and vanilla essence. Press this into a square greased dish and set aside. In another bowl, mix the chocolate chips and the remaining margarine together and whizz in the oven till melted. Pour the chocolate mixture over the Rice Krispie mixture. Using an offset spatula, evenly spread the mixture. Pop into the fridge to set for an hour. Looking for No Bake treats? I wish my hubby liked peanut butter so I could make these otherwise I’d eat them all myself! Rachael why not make it, enjoy some and then wrap and gift some to your family, friends or co-workers. I don’t do peanuts, so I’ll be making these with almond butter. PB and chocolate – a match made in heaven! Thank you for sharing.